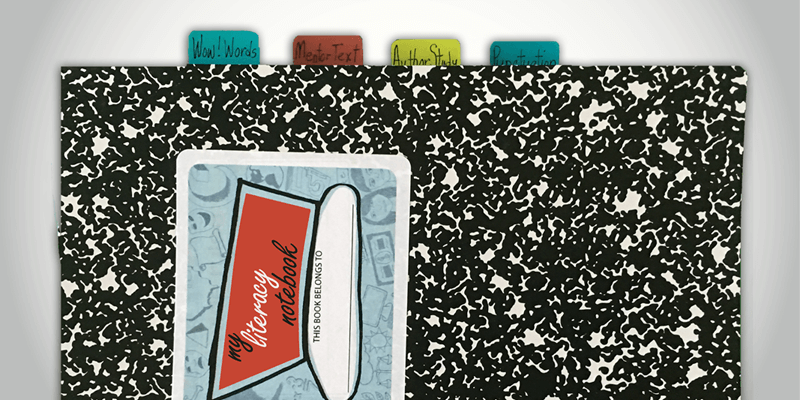 So you want to incorporate a journal or writer's notebook into your primary classroom? Excellent. My guess is you have the same first two questions every other primary teacher wonders -- 1) Loose sheets of paper or bound notebook pages? 2) Lined paper or blank? 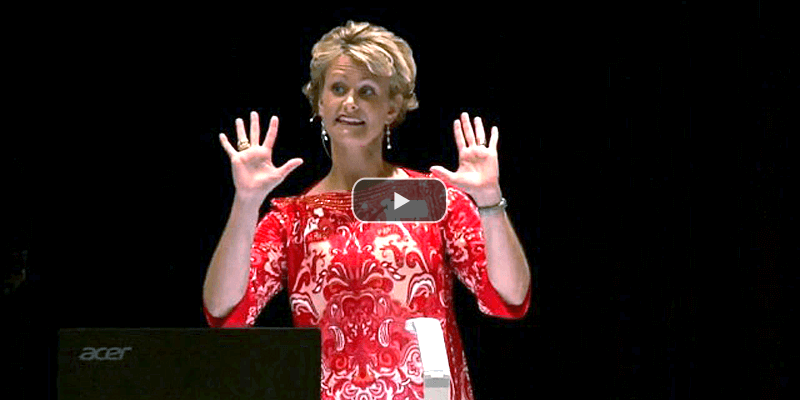 Read a couple of great ideas from some terrific K-1 teachers. Linda Schmidt from Bright Elementary (Lawrenceburg, IN) staples several sheets of paper together and adds a blank page on top. 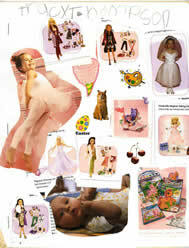 The first day students spend time glueing magazine pictures and adhering stickers to the cover. 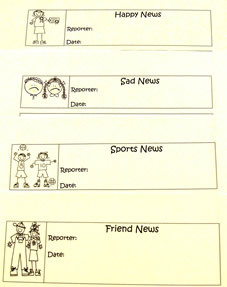 These images represent topics the students each know about (e.g. : an ice cream cone sticker because the writer loves Superman ice cream, a cutout of a baby from a magazine ad because the writer has a baby sister, etc.). These visuals provide potential writing topics for the student when he "doesn't have anything to write about." 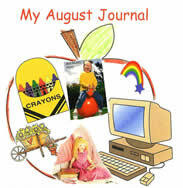 Many teachers utilize a monthly journal, including multiple pages stapled together. And at the end of the month, the writings all go home. If you are wondering if you should use lined or blank paper, consider easing kids into it. The first couple months, the journals can be blank paper. Then, the next couple months, simply draw a line on the blank paper to indicate top and bottom. 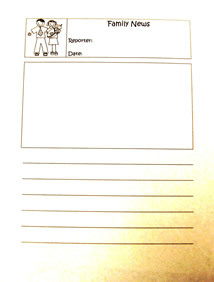 Encourage students to draw on the top and write on the bottom portion. This helps students get used to writing and drawing but doesn't force them to write on a line too soon. Eventually, switch to half blank/half lined paper. 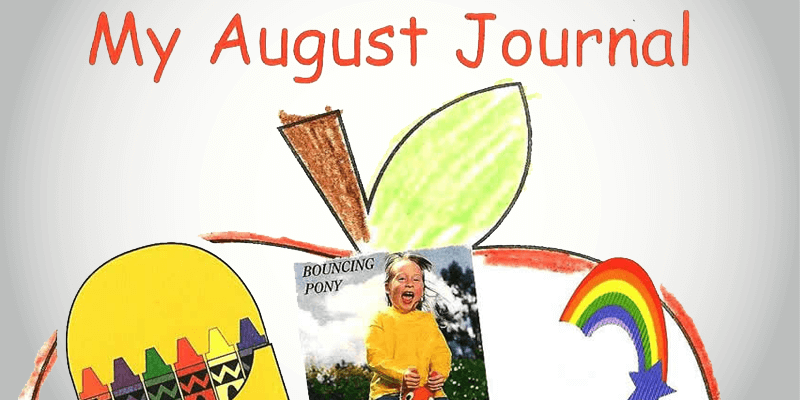 For teachers who utilize a monthly journal, consider utilizing Linda Schmidt's idea of stickers and magazine cutouts on the cover of each new month's journal. That way, students brainstorm new topics regularly and always have a resource to look at when they don't come to school with a writing idea. 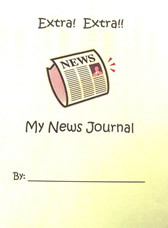 Kindergarten teacher Kim Swoveland from Wilbur Wright (New Castle, IN) created a Daily News Journal. Her students write about their lives within a booklet she created. 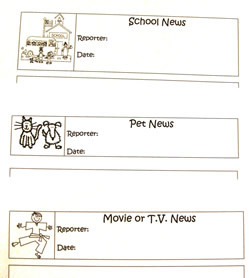 Loose paper is also a great tool for first and second graders later in the year. 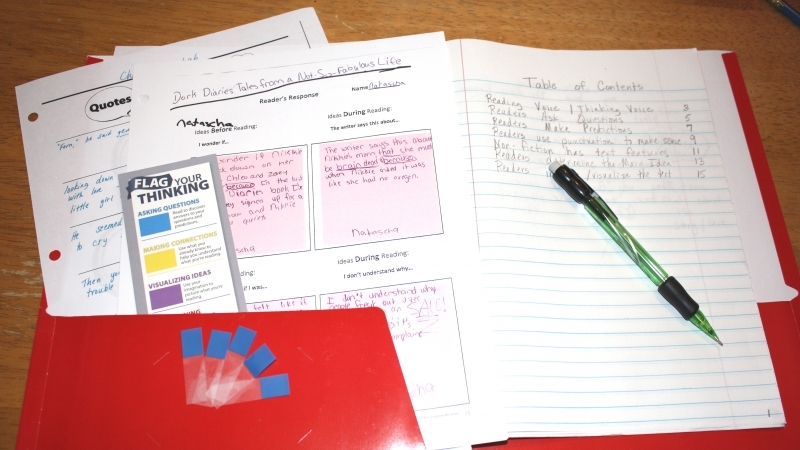 It allows writers to make simple revision and editing changes (like sticky notes and spider legs). 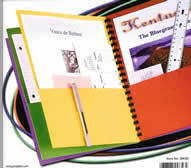 That's when I like to move to a spiral-bound pocket-folder system for loose paper.